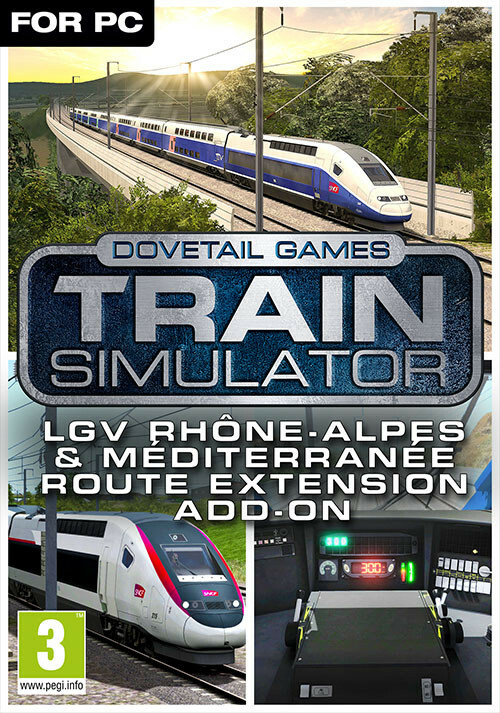 Buy Train Simulator: LGV Rhône-Alpes & Méditerranée Route Extension Add-On as a Steam Key. 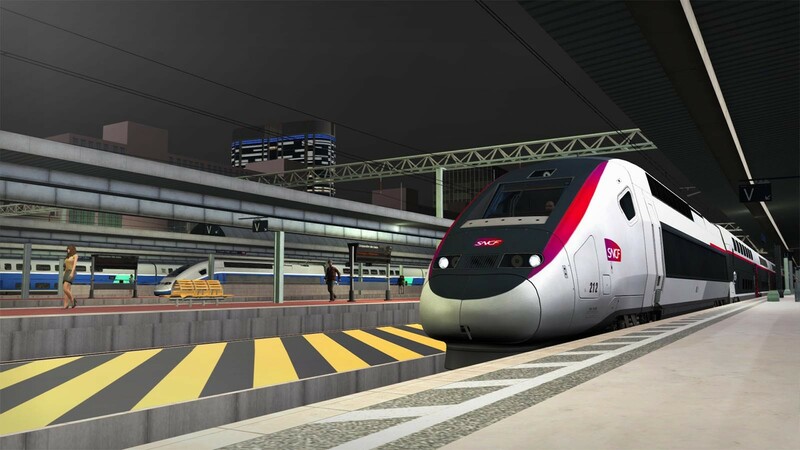 The LGV Rhône-Alpes and LGV Méditerranée Route Extension Add-on brings over 200 km of additional track to the highly popular LGV: Marseille - Avignon Route Add-On, making over 300 km of the French high-speed railway between Lyon and Marseille. You must own the LGV: Marseille - Avignon Route Add-On, which is a separate purchase, in order to play the content featured in this Route Extension. The 1990s, the LGV Sud-Est had already connected Paris and Lyon for about a decade, drastically reducing journey times between the two cities. 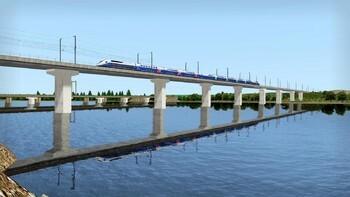 It was decided to expand the benefit south to Valence by building a new high-speed link, the LGV Rhône-Alpes. The 115 km line opened in two stages, the first in time for the 1992 Winter Olympics in Albertville, giving people a better connection to Lyon, with the second in the summer of 1994, a connection and brand-new station was also opened to Lyon-Saint-Exupéry Airport at the same time. With the LGV Rhône-Alpes completed and transforming travel, the decision was then made to build a further LGV line, one which would head out of Valence and serve the south of France, the LGV Méditerranée. This final line would put Marseille on the high-speed map and allow competition with airlines who also made connections to France’s capital. Construction of the LGV Méditerranée began in 1996, and it would stretch a total of 216 km to join with the classic approach into Marseille-Saint-Charles, with additional stations being built at Avignon and Aix-en-Provence. The line was opened to traffic in 2001. 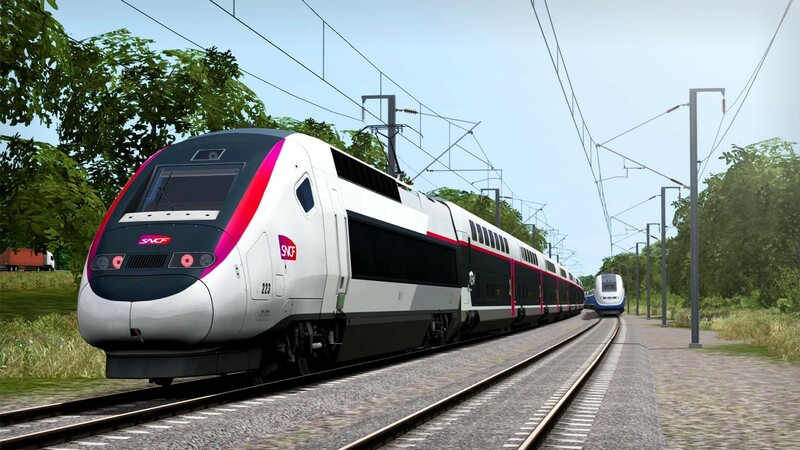 Served by TGV® Duplex® high speed trains, the LGV Rhône-Alpes and LGV Méditerranée started carrying thousands of passengers across the south of France at 300 km/h, extending to 320 km/h along key sections of the scenic, undulating lines. 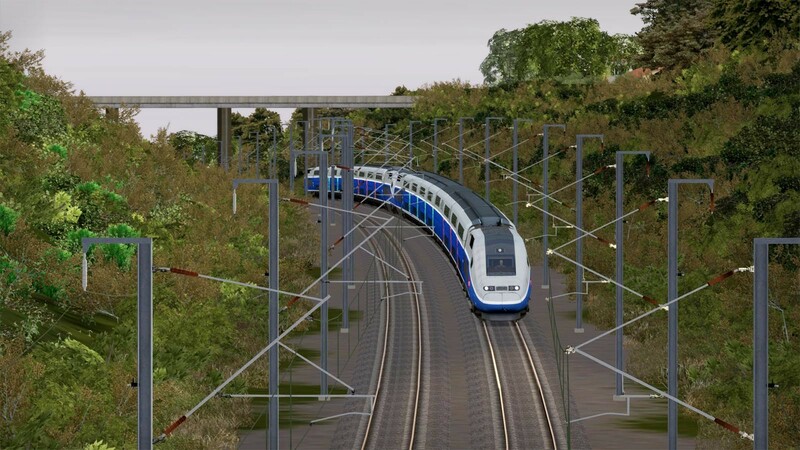 The route throughout is equipped with TVM430 (Transmission Voie-Machine), a revolutionary in-cab signalling system designed for operating high speed trains at high timetable frequencies. Conventional signalling is not practical for very high-speed routes, as drivers have very little time to see and react to what flies past the windscreen. 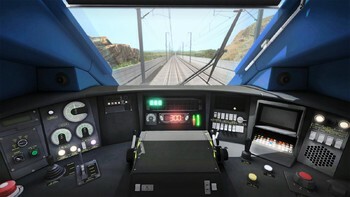 TVM430 displays information in the cab telling the driver what speed he should be travelling at, without the need for conventional track-side equipment. For the classic approach into Marseille however, the typical BAL signalling comes into use. 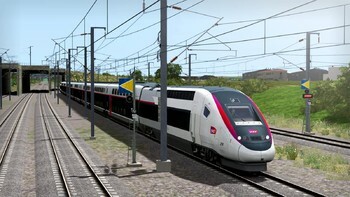 LGV Rhône-Alpes & Méditerranée covers the line from Gare de Marseille-Saint-Charles to Lyon Gare de Lyon-Part-Dieu and Gare de Saint-Exupéry TGV, extending the original route threefold to bring a total of 309 km of breath-taking scenery and enthralling high-speed to Train Simulator. [TGV] 05. Forward, Forward Lyon! Please Note: LGV: Marseille - Avignon Route Add-On is required, as a separate purchase, in order to play the content featured in this add-on. © 2018 Dovetail Games (“DTG”), a trading name of RailSimulator.com Limited. "Dovetail Games", “RailSimulator.com” and the “Dovetail Games Train Simulator” logo are trade marks or registered trade marks of DTG. SNCF and TGV are registered trademarks of SNCF. 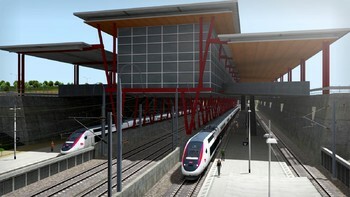 TGV ® is the property of SNCF Mobilités. All rights of reproduction reserved. All other copyrights or trade marks are the property of their respective owners. All rights reserved. 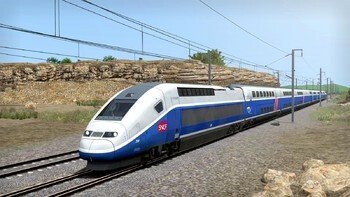 Problems with Train Simulator: LGV Rhône-Alpes & Méditerranée Route Extension Add-On?